Aim: Able to distinguish between the different types of industry & explain why they differ between MEDCs & LEDCs. 1) Define Primary, Secondary & Tertiary Industry. View more presentations from i-study-co-uk. 1) Draw pie charts accurately for country data on slide 3. 1) What are Inputs, Processes & Outputs. 2) Make a table for a Primary, Secondary & Tertiary industry of your choice and identify the Inputs, Processes & Outputs involved in those industries. 1) Physical & human factors that affect where industry locates. 2) Differences between industries: need to be near raw material/ markets/labour force. Aim: Able to explain why firms become multinational & the costs & benefits this can have for the firms & the countries that they locate in. 1) 1st slide of Globalisation PowerPoint introducing the film & giving instructions. 3) Classification of the different brands & explanations of what they do/sell/offer. 4)Why do we know these brands so well? 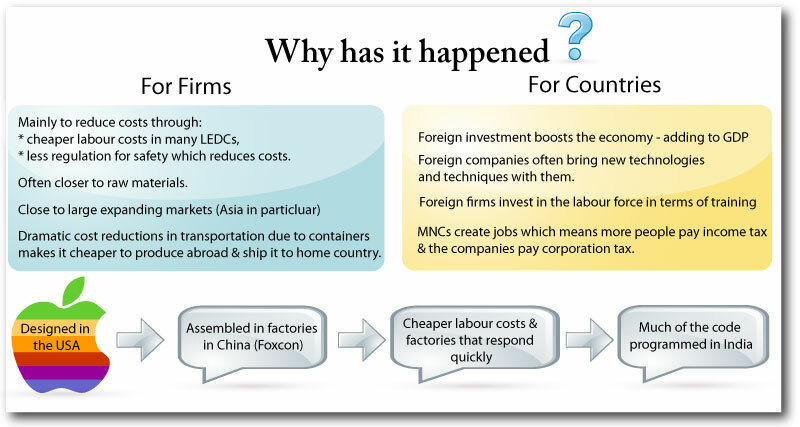 2) Ideas about why firms become multi-national. 1) Watch extracts of the film 'Food Inc'. 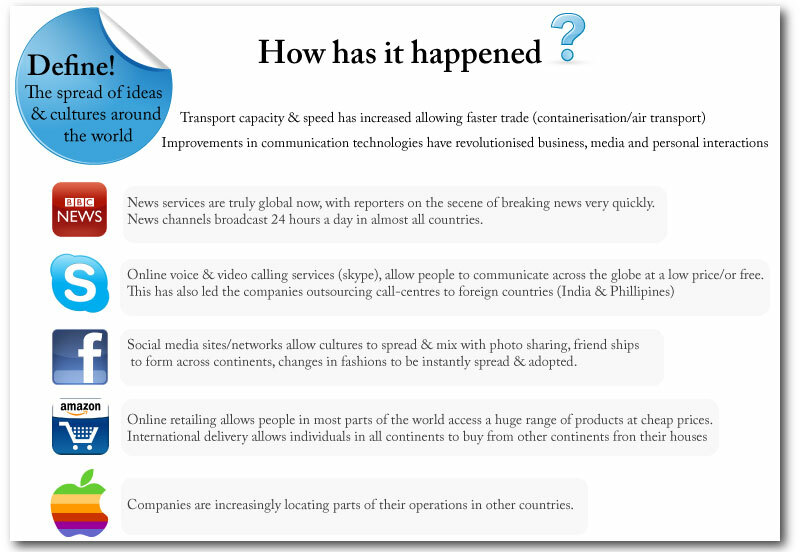 2) Discuss why firms become multi-national & some of the problems of this shown in the film. 3) What are TNCs & MNCs. How much money do you get for a days work? How many hours must you work? How many shoes do you have to make? How many did you make on your first day? What’s the story? - Click on the different stories on the right hand side to answer the following questions. 2. In your own words write what a sweat shop is. 3. How many people are employed in sweatshops? And what is the global distribution of these factories? 4. Why do people work in sweatshops? 5. How can a trade union help? 6. In most of these countries unions are not allowed, what happens to the worker if they join one? Overtime – workers often do not get a choice about doing overtime, what might happen to them if they refuse? Why might they want to do overtime? What sometimes happens when workers are forced to do overtime, and are overworked? 8. What are some of the things that workers get fined for? 9. What can we do as consumers to help change this situation? 10. What could the brands do to change the situation? 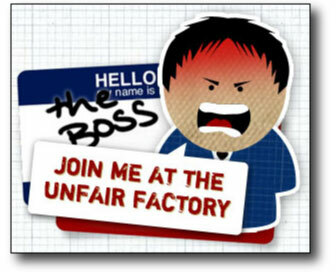 3) Write a paragraph describing some of the working conditions in the factories that make Nike products. 4) It seems unfair that Nike spends so much on advertising and so little on wages. Discuss why you think they think this is acceptable & why they do it. 3) Benefits to countries of attracting MNCs (investment in infrastructure, job creating, worker training, new technologies, new methods, corporation & income tax, attract other TNCs). 2) Read & complete tasks 1-4 on p.68 & 69. 3) Explanation of triangular graphs & go through examples. 1) P.72 Geog 3. 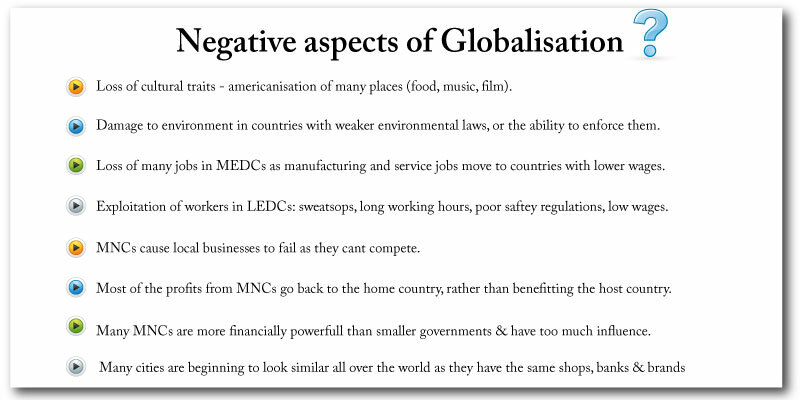 Make notes about bad aspects of globalisation (culture, environment, local economy). 2) Is globalisation a good thing? Essay style answer - 1 to 2 pages A4. Aim: Able to explain the growth in tourism & identify the positive & negative impacts it can have. 1) Causes of increased tourism (timed drawing, no words, memory check, fill in boxes). 3) Complete Qs 1,3,4&6 p.105. 1) Why do we go on holiday & different types of holiday - sketches in book. 1) Produce & annotate tourism model. Apply to locations in Costa Rica. 1) Benfits of tourism: economic, cultural, social, environmental. 2) Bad aspects of tourism: economic, cultural, social, environmental. 3) In small groups produce A3 poster showing the pros & cons of tourism & relate to specific examples. 1) Why should have sustainable tourism & what makes tourism sustainable. 3) In pairs produce brochure/advertisement indicating what sustainable tourism is & examples of it. Aim: Able to describe the characteristics on deserts, mountain areas, caves & offer some explanation for their creation/formation. 1) Make notes about the names, locations and characteristics of the different deserts shown & discussed in the video. 1) On blank world map locate the following deserts (shade in their area & name them): Sahara, Kalahari, Gobi, Atacama, Thar, Great Victoria, Sierra Madre. 2) Add labels/notes to your map to explain why the deserts exist in these places. 3) Why are deserts often found in similar latitudes? Atmospheric circulation & high pressure zones - labelled diagram. Other factors: prevailing winds, physical features. 1) Plants & animals existing in hot deserts and their adaptations for survival there. 2) Ways in which humans have adapted to living in hot deserts. 1) notes about major caves in world, their locations and why they exist. 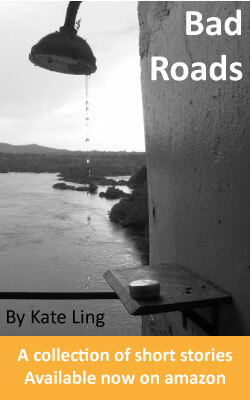 1) Limestone & carst scenery: why do caves and sink holes exist. 2) P.93 (Geog.3), labelled diagram of limestone cave formation. 3) Activities in caves - leisure. 1) notes about major mountain ranges, how they were formed and vegetation/animals that live there. 1) tectonic processes of fold mountains & volcanoes - link to destructive & collision plate boundaries. Labelled diagrams showing the processes & examples in the world of each. 2) Glacial features: pyramidal peaks, u-shaped valleys, hanging valleys, aretes, corries/tarns - labelled diagram. 4) Depostion: moraine- terminal, lateral & medial. 3) International Agreements to protect Antartica from exploitation. 4) Ecosystem & food chain in Antarctica. 5) Pairs: poster including card sort activity about characteristics, threats & solutions. Aim: Identify current issues and look at the causes & consequences. 1) Working in groups you need to investigate the causes, consequences and solutions in regard to the BP oil spill in the Gulf of Mexico. Your group will have 4 lessons in the ICT labs to research and put together a final presentation. Your final presentation will be a movie maker video that is apprximately 5 minutes in length. Introduction: what happened & when - basic information. Location of the oil spill: think about using maps to locate on a variety of scales - you could use google earth to take screen shots. Causes: of the accident & subsequent length of the oil spill. Effects: who & what has been affected (think people/environment/economy). You could use an appropriate map to locate the areas affected. Consider whether the effects are long term or short term. Solutions: How did the company, the government and the local populations respond to the disaster. What methods were used to stop the spill and clean it up. Were these succesfull & if not why not? (you dont need to go into vast technical detail). 3) When putting together your movie - think about the images and text that you use - dont have hundreds of pictures - make sure text is clear enough to read & that the slide duration is long enough for people to read any text. You may add music - but it must not be unsuitable for school!! Dont just copy and paste information - select important bits and put them into you own short sentences. You should reference you sources (this is something you must get used to doing - it is required at IGCSE & IB). 1) complete the following activities using the resources provided.